One of the biggest questions users ask about Facebook is whether you can see who has viewed your profile. In fact, a quick glance through search results shows dozens of apps and services that claim to let you see this information. But should you believe them? Is there really some kind of way to know who viewed your Facebook profile? In this article, we answer that question, and dispel some of the myths surrounding this issue. Can You See Who Looks at Your Facebook Profile? Despite this being one of the oldest and most common Facebook myths, many users still have hope. But the official word from Facebook is: No, there is no way to check who has viewed your Facebook profile. Facebook says that users can’t see who has viewed their profile. There are many things that Facebook tracks; Facebook tracks your location, your browsing history, and a variety of other habits. In fact, Facebook is a privacy nightmare. But the thing is, Facebook isn’t doing all of this information tracking for you or your fellow users. It’s doing this for the company’s advertising platform. Therefore this information is not available for you to browse through. If Facebook did offer this information, you would know about it. Think of LinkedIn—users who don’t have a premium account often receive notifications that their profile has been viewed. To see who has viewed your LinkedIn profile, you can pay for the premium plan. This fact is often advertised by the network. In contrast, Facebook does not offer this information to users. This is likely due to the fact that LinkedIn is a professional network, while Facebook is mostly personal. Being able to view who visited your profile on Facebook could be embarrassing for those who did—especially exes, secret admirers, or acquaintances. Offering the option to view profile visitors on Facebook would likely deter people from using the service. So the company does not offer this information through any app or public-facing source code. So, if there’s no way to see who has viewed your profile, why do so many apps claim that you can? Much of this is linked to data harvesting. The Cambridge Analytica scandal brought into focus just how much information can be harvested through apps. Facebook has cracked down on many dodgy apps, but there are always those that slip through. In fact, Facebook is a popular tool for stealing data. The best case scenario (which is still not great) is that these apps are using your data to sell to advertising companies. The worst case is that the apps are actually disguising malware. The latter case is especially alarming, since malware can be used to access credit card information and other sensitive data. Either way, none of these apps are legitimate. And Facebook recommends that you report any app that claims to offer this feature. If you’ve already installed one of these apps, there’s still hope. If you want to know what to do to restore your privacy, read our guides on how to revoke app permissions on Facebook and what to do if your Facebook account has been hacked. What Data Can You See on Facebook? While Facebook won’t let you see who has viewed your profile, there is other information you can obtain about your profile. But this is done through native tools within the Facebook website and not third-party apps. Over time Facebook has become stricter with its data policy. As a result, many of the apps that gave summaries of profile information no longer work or have very limited functionality. Even well-known sites like Klout closed their doors. The market for these types of services has decreased significantly. This is largely due to changing policies and the fact that people are much more wary about app permissions nowadays. Despite this, you can still use a few Facebook tools to get an overview of certain information. This information doesn’t have the same depth that older services had when policies were much laxer. If you want a summary of your interactions with a Facebook friend, you can use the See friendship tool. You can access this tool by visiting your friend’s profile page and clicking on the dropdown menu next to the message icon. You will see the option to see your friendship history, as well as older features such as poking. 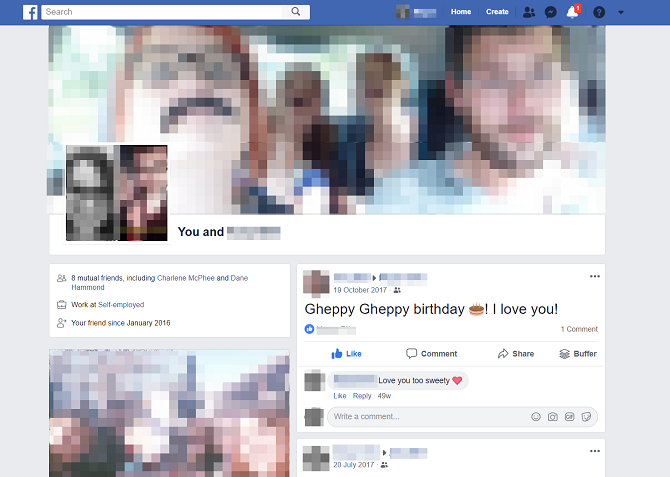 An example of a ‘See friendship’ page generated by Facebook. The “see friendship” page aggregates your mutual tagged photos, wall posts, and friendship history. The amount of information on the page will differ from friend to friend. If you want to see information about your personal activity on Facebook, you can visit your activity log. This log can be accessed via the top-right dropdown menu on the Facebook toolbar. Here you will see a summary of your likes, posts, tags, and other information. You can also search through the log for specific activities, such as a location check-in. If you have a Facebook page with more than 30 Likes, you can also access the Facebook Insights tab to see more information on your post’s reach and followers. However, it’s important to note that a Facebook Page is public, as explained in our Facebook Page vs Group primer, and different to a personal Facebook profile. What Else Does Facebook Know? Even if Facebook doesn’t give you a summary of all the things it knows about you, it has tons of data on users. Thanks to GDPR regulations, Facebook has to provide you with an archive of all your data. However, if you’re not in the mood to browse through countless files without context, certain services will give you a better overview. These apps aim to help you secure your privacy. Read our article explaining what Facebook knows about you—and learn how to rein in these permissions if necessary. 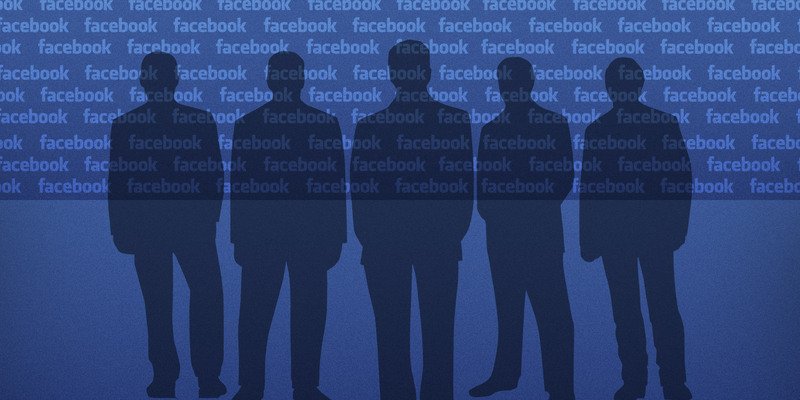 Read the full article: Can You Really See Who Viewed Your Facebook Profile?